This next project is just in time for the holiday season, though it is really my fiddling with the code that came with the libraries for a 32 LED strip from Adafruit. Last year I had bought a single 1 meter 32 LED strip to play around with (video), but this year I decided to go with a 5 meter 160 LED strip to place outdoors for the Holidays. 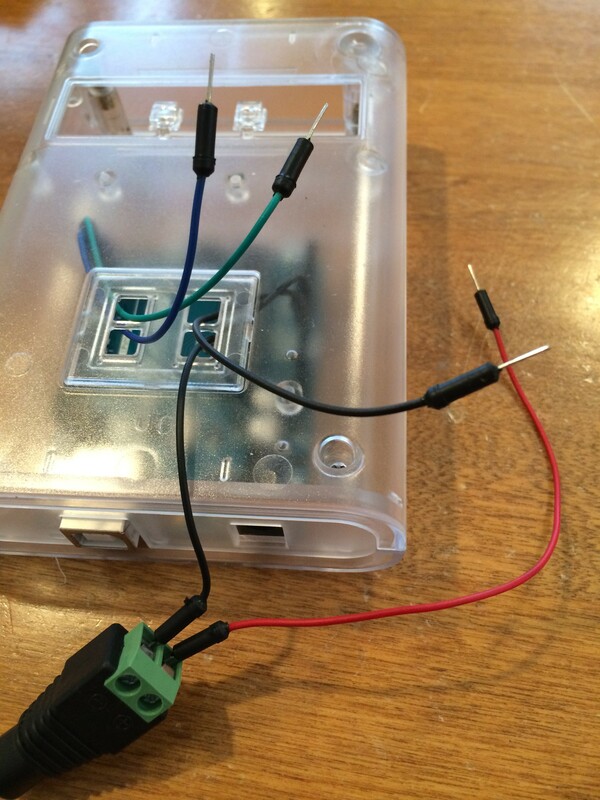 Simply follow the instructions in the Adafruit tutorial. If you don’t order a full roll, you will need to be able to solder a surface mount in order to attach the wires needed for the LED strip. 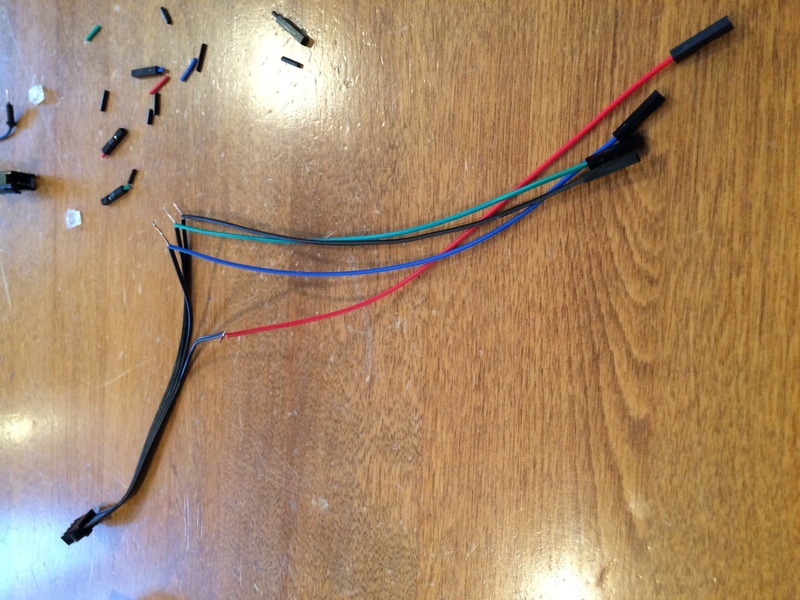 Last year, I had stripped off one end of some jumper wires, soldered them to the LED strip as outlined in the tutorial above, then wrapped the end in some black electrical tape. This year however, I bought a whole roll and therefore used a 4-pin JST SM Receptacle to connect to the plug on the end of the LED Strip. 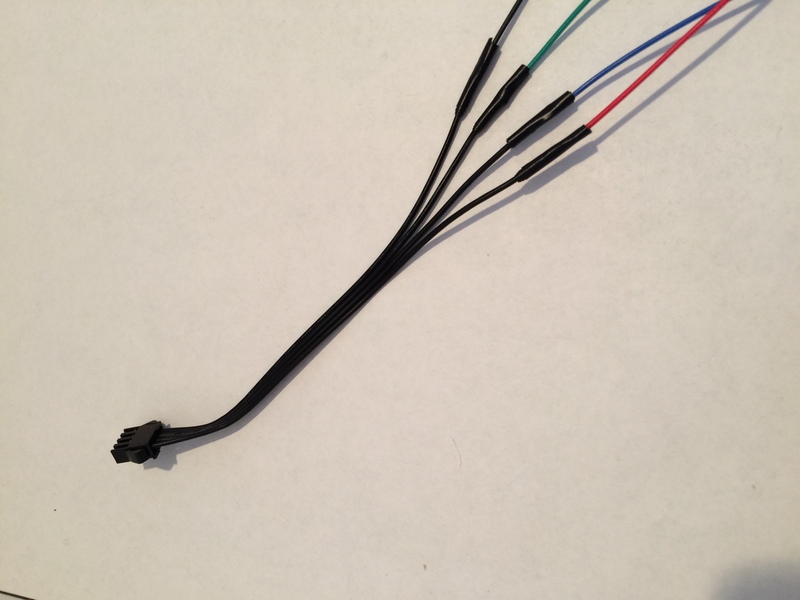 To make the project easier to assemble and disassemble, I stripped one end of the JST SM connector, and soldered that to one end of a female/female jumper wire, as below. 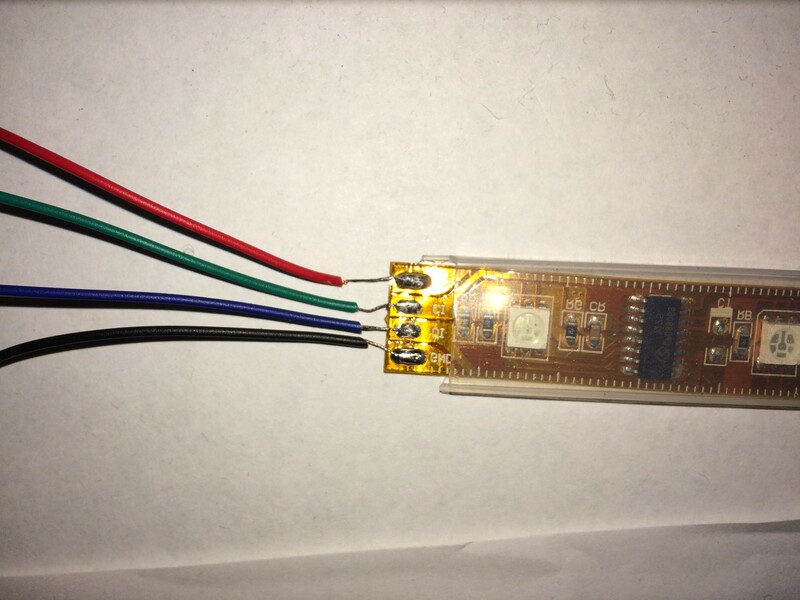 Once the Arduino is mounted in a case, and male/male jumper wires are plugged into the correct pins, it looked like this, which I then connected the female jumper wires on the JST SM connector appropriately and then boxed it up to protect it from the elements. Seperately, I mounted the LED strip to our deck railing (with tape) – because we’re using the JST SM connector, it’s easy to disconnect the Arduino and power supplies in bring them in if the weather is bad, leaving the LED strip in place. Now, because the product description says the LED strip “comes with a weatherproof sheathing” I decided to but it to the test of Colorado weather in December, as seen in the video above. * - supports a variable number of frames as defined by the constant "frames"
// Chase one dot down the full strip. strip.setPixelColor(i, 0); // Erase pixel, but don't refresh! // Fill the dots progressively along the strip.